Five million HTC One phones sold so far | Android Blast! HTC has been in a world of hurt in recent years, and the company has banked its future on its flagship HTC One Android phone. The company has shuffled its executives around and is desperately trying to get back to the days when HTC was a dominant player in the smartphone space. It is not all bad news for HTC these days. According to The Wall Street Journal, the company has sold "around 5 million" units so far. An unnamed executive also told the WSJ that they have more orders than they can fill. Apparently component shortages are affecting supply. 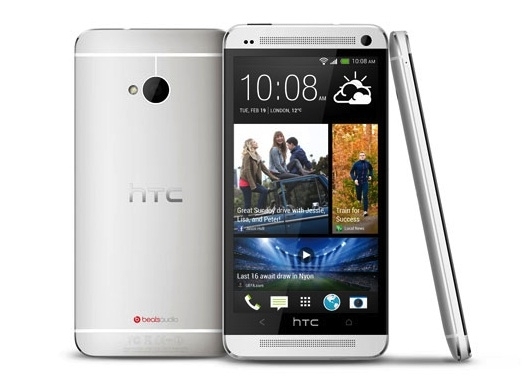 The HTC One has Apple-like build quality and in some ways, is superior to the iPhone 5. It's no wonder that they have had success with the One. Samsung is pouring on the heat with the Galaxy S4 though, so we'll see how long HTC can keep it up.